Healthy, Fit, and Focused: Ready to RESET? Then...you should keep on reading! In May 2014, I decided that my body needed a break. I wasn't feeling well all the time, I felt burnt out with my workouts and sluggish. My body felt like it needed a jumpstart again. Like I needed time to take a break on my workouts, focus completely on clean eating and recharging my body so that it could perform to the best of it's abilities! I decided to commit to 21 Days of "Resetting" my body, back to it's "factory settings", so to speak! I had amazing results with the 21 Day Ultimate Reset and felt truly amazing. My energy level was greater, I felt so good...not bloated or gassy, my headaches stopped, I lost almost 10 lbs, my clothes fit better!! I don't want to keep this program to myself, I would love for everyone to have an opportunity to FEEL so much better!! You can see ALL the program details, what it is exactly and my journey through the 21 Days of the Ultimate Reset HERE!! 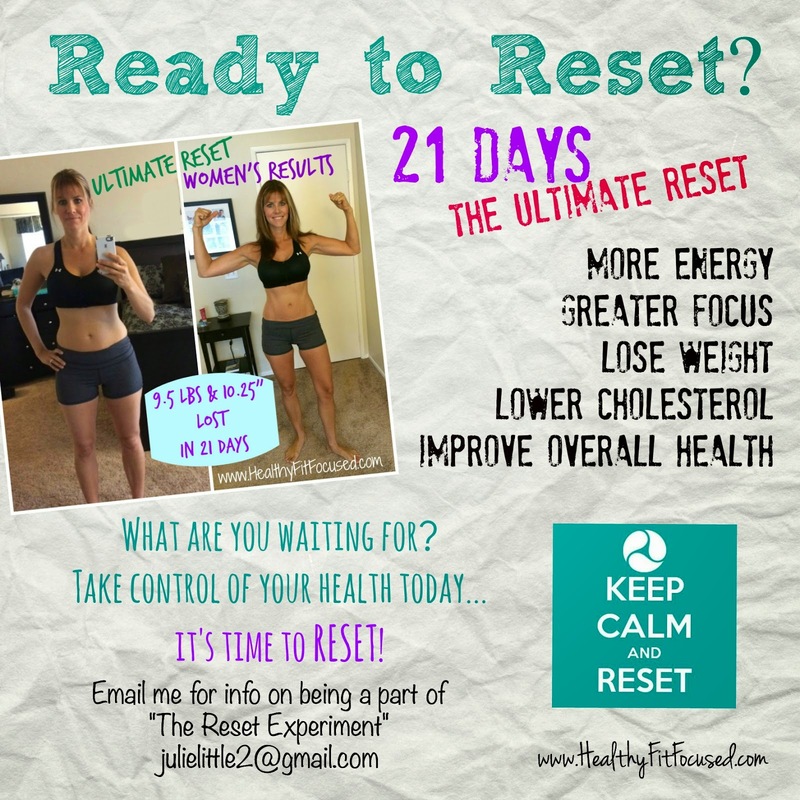 The Reset Experiment is going to be a very specific group of people who are 100% committed to improving their health. 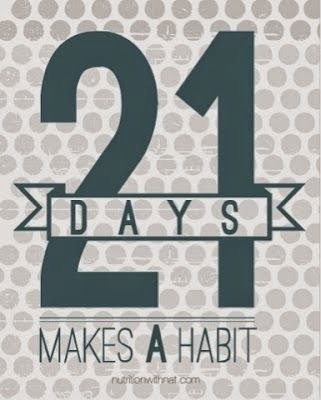 We will NOT be working out during these 21 Days. It will be a time to focus on resting your body and allowing you body to be "reset" and flushed of toxins during the 21 Days! You will have support throughout the entire 21 days through a private group. And trust me...this support is KEY to your success!! I am looking for 100% commitment. I'm not going to sugar coat this...I'll be honest, this is not an easy program to go through. It takes time to prepare the meals (you can prepare a lot in advance each week to cut down during the evening), and it is tough. You may not feel good in the beginning as your body is going through changes of getting rid of some of the toxins we hold onto because of the foods we consume! BUT...let me tell you. This program is 100% WORTH IT! All the time and energy you put into this, is totally worth the end results. If you agree with any of those listed above, then it's a good fit for you! Not Dependent on Caffeine (or coffee)! Not to mention...I won $500 from Beachbody Challenge by submitting my results!! And yes...I really did receive a $500 check!!! If you are Ready to Reset, please fill out this application below. I want to discuss with you your goals for this program and let's look together and see if this is a good fit for you! 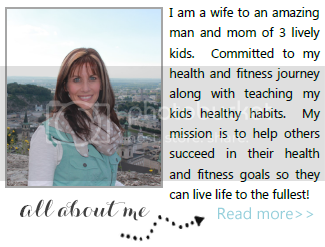 I am excited to help you on your journey of better health!